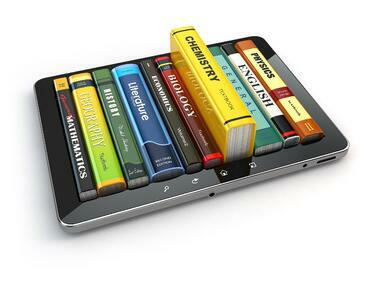 What’s Causing the Decline in Campus Bookstore Sales? The other weekend, I stopped by the local mall for the first time in well over a year, and I noticed a few surprising changes. For one, it was past lunch hour, yet the food court was still packed - and not everyone was eating. Many were simply using the space as a place to hang out. Another thing that surprised me was that the mall still had a Barnes & Noble, although it had very little foot traffic, especially for a weekend. Inside, half the store appeared to be your typical Barnes & Noble that I remembered - books and magazines; but the other half of the store was dedicated to toys, games, and gifts. I realized that what’s happening at the mall as well as Barnes & Noble mirrors what’s happening with many campus bookstores at colleges and universities. Call me Captain Obvious, but it’s pretty apparent that both the mall and campus bookstore need to evolve in order to survive - becoming more of a multi-purpose destination to not just shop, but to meet, eat, and socialize. Register for our new webinar on October 17th, 2017 from 12:30 PM-1:30 PM EST. 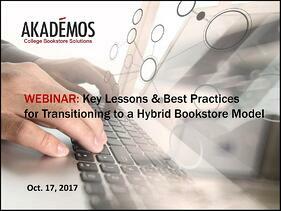 This live interactive session will provide powerful insights, key lessons learned and best practices for successfully transitioning to a new hybrid college bookstore model. models, you'll want to request the recording of our interactive session with Labouré and Berea colleges from the 2016 NACUBO Annual Meeting. This well-attended session, which received a lot of positive feedback, covers how the new hybrid college bookstore model reduces textbook costs, improves bookstore sales and increases student satisfaction. The recording and presentation materials can be requested by clicking here or on the button below.